Want to Add Notes to Your Photos? A picture is worth a thousand words. Of course, but… sometimes I want to add my own words like „I met Sarah and Tom…“, or „I bought a coffee for 2$.“, or „In the background you can see…“, or „That’s the flat of…“, or „The restaurant is open from…“, or whatever. I usually don’t want to add a text on top of a photo. I just want it to be stored in the photo without changing the picture itself. 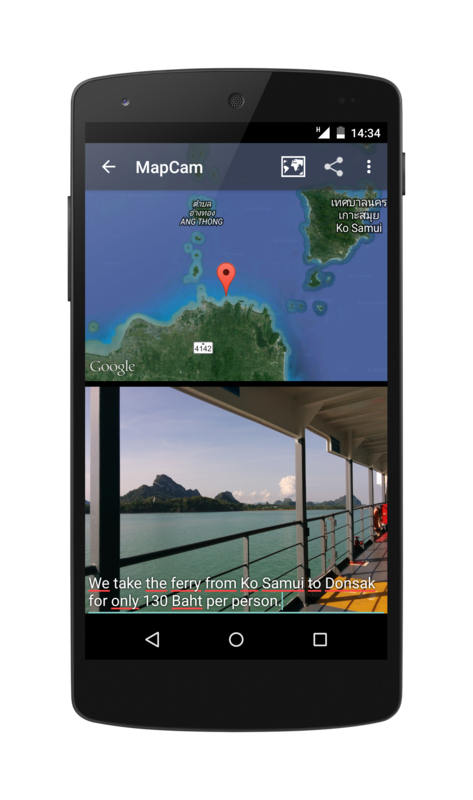 The Android apps MapCam and PhotoMap are able to do that by adding metadata to a photo file. The added comments can also be edited and viewed with Picasa on a PC. It’s a very important feature for me. What about you? 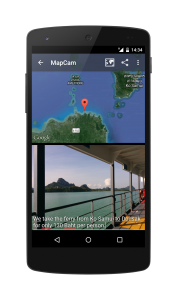 Label your photos by adding captions to the photos’ metadata. This is the most important feature for which I bought the app. I really like the fact that I can show the captions in View and Slide Show mode. The only thing missing is support for Chromecast so I can cast my pictures + captions on my flat screen TV. Is Chromecast support something you considers for the future? Thanks for the comment. It is currently not high on the to-do list, but I’ll consider it. Are you considering to add Chromecast support so I can view my slideshows with captions on my flat screen TV? It is currently not high on the to-do list, but I’ll consider it.